The quantum leap that our Planet is experiencing, at this unique time within Creation, is being strongly felt, for the cosmic war, to control our Planet, between the forces who still are trying to fight to maintain duality consciousness and the ones who are assisting us to step into a unity space - is yet very present within both ourselves and what is occurring in the macro by the many opposing forces trying to regain control or help us liberate ourselves from the 3D matrix. Earth is ascending. You, as long as you have chosen it and are doing your inner work, are evolving. The outer chaos represents what is already occurring within ourselves, which is nothing but all the different aspects of who we are asking us to bring them into unity. This has been the message from this Equinox too, to go within and unify from within, before simply judging what is occurring in the outside or living under the illusion that you are ascending simply by just reading, following others or trying to be a good person, one does not try anymore within this New Space, one simply becomes what one already is and lives from this same authentic space of love and compassion to the self and All. What you are seeing in the macro, is nothing but what you are not yet seeing within you, just because you maybe too focused on the outside world and on where others are - in their journey - or are doing. This is important, for in the moment we focus on what others do or say, we are losing insight of what we are doing or being ourselves, hence, allowing our ego to control the authentic Self. I am sharing this article with great love to all, also from personal experience, not to teach anyone, I am no one's teacher or example, I am a conscious being, learning the same as everyone else is, offering what I know, from my guidance, and own experience. I know there are a lot of people who think there is only love and light, and while this is true, it is also true that darkness exists and that it is as real as light and this basic truth, should never be denied but embraced and taken as a natural aspect of our dualistic Universe. Therefore, I was guided to share this article because for me, accepting our duality, as well as knowing what is truly occurring behind the physical veils, is pivotal to inform ourselves and discern what resonates with who we are and what does not. At a macro level, we have a very important cosmic event that invites us to break free from old rules/programming and begin to take full control of our lives, as the sovereign beings that we have always been. For we have, on September 28, Jupiter opposing Uranus, for the last time. Jupiter will expand Uranus’s essence of self-liberation from all that still chains us. In this same time, we have another important cosmic event, Pluto, the Planet of Power, moving direct again. If Jupiter opposing Uranus invites us to dissolve all the old and have the courage to create a new path, Pluto, on the other hand, is reminding us that after breaking free from the old and leaving behind our old self, we must be wise in how we direct our energy and intention, at a time, when it is vital to choose what forces are we going to align ourselves with. This is why it is important to become neutral observers, of what we are thinking, saying and doing. It is essential that instead of just reacting and responding, we first begin to understand that where we put our attention will make all the difference - to remain at peace or to enrol in egoic, already lost, battles. When you serve only your ego, you are at the same time allowing what is aligned with this same frequency to enter your sacred space. It is then that psychic attacks, during your dream state, or while you are awake, begin to occur, for dark forces use many manipulative mechanisms to control people who remain unconscious or while they are not fully aware, also by using implants, negative mind control etc. As this is a loving Universe, if one chooses to align with the Light Forces, at this important time, we are receiving infinite assistance from Sirius and Orion’s stellar doorways, to help us clear ourselves from old beliefs as well as from Arcturus - a civilization who helps us heal, for they are Master Healers. When old wounds resurface, when we begin to get stuck into the repetition of the same old patterns, or reunions, it is not because we are not ascending, it is not because the dark forces are gaining the delusion of control, it is because your Unified Self is telling you to look only within and to begin remembering and using these ancient memories to recognize the Divinity within you – to enable clarity of vision. For you are now ready to confront your shadows, beginning to act with authenticity and dwelling in a higher space of existence, into the next synthesized Universe, where we have been already anchoring our essence. At this time, there is not just a cosmic battle to gain control over our Planet, but an inner one as well taking place within all of us. Have you noticed when you still play the old egoic game of trying to be right or telling someone else they are not? Do you still think that your personal truth is The Truth? As you know everyone has their time to realize where they are and shift their perception, we are not here to interfere and force our personal truth into another. This will be egoic to force others to step into a path that they are not meant to walk, at this time. Have you observe yourself in trying to control physical conditions or others? There are infinite ways of doing this, sometimes they are too subtle and we do not realize it, but behind our words and actions, the energy of manipulation can still be active, which makes very challenging to align yourselves with the new timeline that you are so eager to dwell. Yes, Beloveds, we are transitioning, already dwelling in essence, into a higher space of existence, but this does not mean we know all. It only means we are ready now to begin to know a tiny higher portion of this infinite and wise Universe. Do you still want to force your truths on others? Do you still waste your energy, attention and intention into creating a battle of egos? If so, this energy and the words you use in the "combat" will tell you more about you than about the truth you want to share or are trying to impose. This will show you where you still allow your 3D personality to take control of the real You, losing all sense of integrity, direction and compassion for where others are in their journey. There is nothing to judge, not within yourself and not in others, every time we experience darkness we are also experiencing another equal aspect of Creation, one that leads us to another higher Truth and to the better knowledge of who we are and what we still must master. Imposing your will upon others is telling you that you are not ready yet, but it is also giving you a wonderful opportunity to realize it and begin to change it. In my own experience, every time we try to believe that we only dwell in the light and that all is love and everything is perfect, our God Self will put into our human experience something that will show us humility and where we still tend to polarize. This is, as you well know, a dualistic universe, it is here that we came to master how to love both and opposite aspects of who we are. If you think you can master it by only focusing on the light you are, then you will keep repeating many situations that will show you how to also accept the dark aspect of us. There are a lot of people that are now allowing their 3D personality -ego- to rule their lives. If you choose to only experience this polarity, then you are, at the same time, choosing to dwell in darkness, which is perfectly fine. However, then one cannot free oneself of all responsibility and blame others, negative entities and so on, for the outcomes and feelings that they are creating themselves. When one decides to experience the dark polarity, and many are, for this time is a very confusing one for the souls that are beginning to awake, one cannot say the negative entities are just trying to use them as conduits to do wrong simply because they are light. It is true that as light emissaries, especially if you are a Starseed Soul, not because you are more special than others, but because of the nature of your soul mission, which by the way is equal to the one others make, you will feel these attacks, especially in the astral, more often. However, you will also understand and know that this may be a part of your soul role - as an Earth healer/protector - as well as a part of your human learning. On the other hand, for those who are beginning to awake or are simply not conscious yet of what they do with their energy and intention, they are functioning as open cosmic windows/doorways for the dark forces to use them. This is your responsibility; these forces are there doing their role as well as you are doing yours. 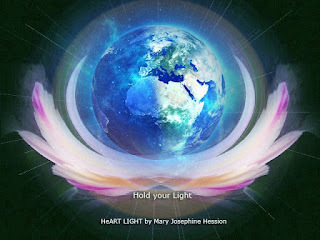 If you use lower vibrational words, if you still unlove yourself, and therefore all, if you are still fighting for being right, controlling or manipulating instead of surrendering, flowing and accepting, then you are still choosing to dwell in darkness and hence, to allow these lower forces to align with you. you do with the This is not about being good or bad, for this is human creation as well, this is frequency/essence/intention that you possess and how you use it. You decide whether you align with ones or others, all choices are always highly respected, for all of them serves a Divine Purpose. Everything, especially addictions (to substances, or to other people, negative thoughts, habits etc), that you give your power to, becomes you. When you do this, you are helping them to anchor their negative polarity on Earth, through you. It is important that you commune with yourself and become the eternal Witness, to become aware of where are you still allowing your lower self or others to control your reality, thoughts, acts and energy. Of course, there will be more soul roles I am not aware of yet, for there are infinite soul roles within creation. These beings who are already fully conscious and already working behind the physical scenes, to bring unity, healing and peace to All, are more vulnerable of being attacked, for they are restructuring, remaking New Earth Grids - as well as helping to anchor this New 5D Light. I know some people believe we are heading into the 4th dimension, this is long to explain, but in any case, to me, it does not matter at all, for it is not about the number, but about your frequency and how you choose to vibrate what truly matters and separate one dimension from the others. Recently I was guided to share more about my soul mission, as guided by my Unified Self. I AM deeply grateful I did it because I was shown many new connections/encounters, with other stabilizers. When I was in the middle of this post I was told that it is important that stabilizers, no matter from where they live, begin to consciously unite forces. We do this in the astral plane, whether conscious or not, we also work with land and sea, depending where one lives. You do not have to do anything, you just have to be open to contact and follow only your guidance, as I did, and then you will meet, as happened to me when I shared about being a stabilizer, other souls who are ready to work with you from where they live. It is pivotal that you work on your 3D personality/ego before you can understand your mission. In my case, I was not fully embodying it, for I was trying, years ago, to live in a different place. You have been placed where you live by a Higher Intelligence, you just do not remember. The more you accept that some of you are living where you are due to your frequency and resonance with the physical land, the more you will be able to awake new aspects of your soul mission. Remember this may change as we advance in doing our work. At this transitioning phase, some of us are going to begin to change location, as was the case of one stabilizer in Syria, who I had the pleasure to meet when I shared about stabilizing. Others will begin to meet new stabilizers from other countries, as has been my case. I met two ladies from two different countries with whom I work with. This is important, for the time has come now to unite our hearts and work as One. You do not need to be physically in the other country, for you just have to make a conscious contact with the place and this person to be able to assist each other. Stabilizing is different from Gatekeeping in the sense, that they can work alone, some of them are also able to stabilize and/or able to change location every X years when their work is done in the land. Stabilizers, on the contrary, as I was shown, or the majority of us, have been put in a place because our frequency will only act in this place, except when we consciously work in the astral or from within. This is why it does not matter if we can travel less or not, for we just have to stablish a healthy and strong connection to others to give this step of assisting in unity. This is the first time I am sharing about negative guides. I think this is already known, or at least experienced by the majority of you, for if you are on this ascension journey, being cleared of negative guides is essential to follow an authentic evolutionary path. Negative guides are the deceased ones or beings from lower astral, although they can also come from other dimensions, that, even if they have good intentions to help us in our human journey, they do not possess the knowledge to do this or simply are really helping us, for what they believe to be good or bad but this is not truly aligned with what we need. I am going to set a very simple example, as I know this is a very delicate subject and not everyone will understand. Imagine, you have an addiction, with gambling, for example, and you are trying to recover from this, maybe someone from your family, already deceased, knows it and wants to help you by inciting you to gamble more, pushing you to keep trying and find luck. This guide is really trying to help you, but as you can see it is not exactly what you need to overcome your addiction. You will find the guidance and assistance you need when you are ready to accept it. Your only concern is not to get fixated on who they represent for you - in the human role they used to play - and step out of this limited view, for in truth they are not helping you. After recognizing that we may have negative guides, only by commanding ourselves for them to leave, by being empowered and by really appreciating their help, can they leave our sacred space. This is a very important time within Creation, never in human history had you the choice, for you were not aware or ready enough to do so, to decide whether you remain within a manipulated and distorted 3D reality or whether you step into a Higher Timeline. It is your choice to choose what forces you are going to serve. Are you going to serve only the Law of One - based on unity and unconditional Love for All? Or are you going to serve your 3D egoic personality and keep dwelling into an illusory world? Are you willing to stand firm in your power and truth? Or are you still going to choose to give your power to others or outer dark forces? If so, know that if you do not govern yourself and own reality, others will do it for you as you continue to give them your power. For those who are constantly working on assisting others, beginning with their own selves first, never decay or think you are not ascending when you have to re-create your reality and choose a new timeline again, for your first choice was not aligned with who you are becoming/going to be now. Remember that there is no such a thing as a mistake or something being done good or bad within Creation, for everything is the Light and everything, even when it seems negative to us, belongs to It, whether it takes increased time to recognize this Truth or not. It is only by leaving behind half-truths and by embodying higher ones, that you can keep evolving, the time is not important, only your will to do so counts. Your task is not to uncover others who are not telling the truth - according to you - for we will never be able to know Truth within this or even higher dimensions until we unify, again, with Source. Your task is not to search an egoic fight every time you consider someone or something is not aligned with who you are. Your main aim is to become love and compassion for All, not just reading or talking about it but to embody it and act accordingly when you are presented with the opportunity to do so. There are many forces within Creation, and they can only affect/use/manipulate or bless us, if we aligned with them. For we are always respected and protected, if we simply choose to honor ourselves and stand tall in our power. Every time you follow your ego, you are aligning with lower vibrations, and again it is another respected choice. Every time you decide to choose love when you could have chosen to respond in an unloving way, you are, again, remembering who you/All are and acting with integrity, and hence aligning with the Light of who you/All already are. The question, as always, is, with which of these forces are you going to align with? Your very destiny depends upon this decision. May you choose to dwell in the Love that you are, synthesize and embrace - within Divine Unity - both dark and light, as an equal aspect of Creation. May you always dwell in the Illuminated Presence of your Unified Self, always in love with All, always in Infinite Compassion to All beings and forms of consciousness. Gratitude Note: Infinite gratitude to Mary Josephine Hession, artist of this photo, for allowing me to put it with my post.